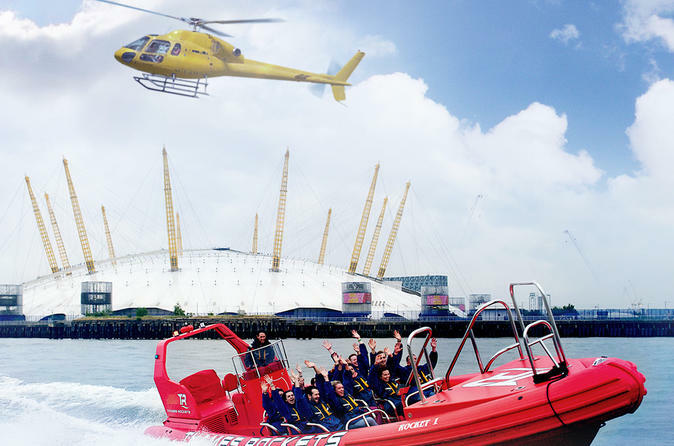 See London like never before on an exhilarating Thames River speedboat ride followed by an unforgettable city sightseeing flight! Beginning at the London Eye pier, your 2.5-hour tour traces London’s historic river southward, soaking up the majesty of attractions like the Houses of Parliament and Battersea Park. Then take to the skies for a 20-minute air tour featuring close-up views of the Shard, Buckingham Palace and the dramatic dome of St Paul’s Cathedral. Due to comfort and weight / balance of the aircraft, passengers weighing over 18 stone (114 kilograms) will be required to purchase an additional seat. This is payable directly to the tour operator on the day of the tour.